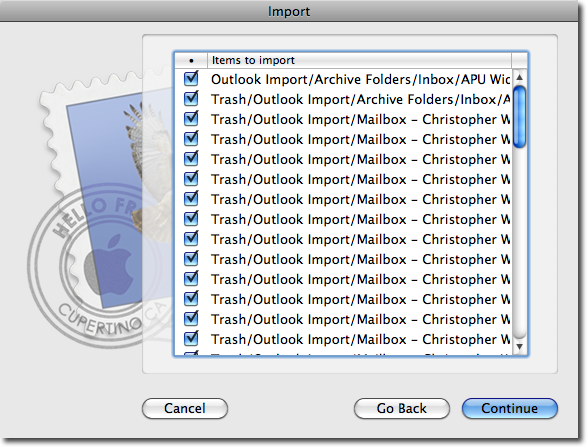 One issue to consider when switching from Windows to OS X is email, as Windows users are often rooted in Outlook. 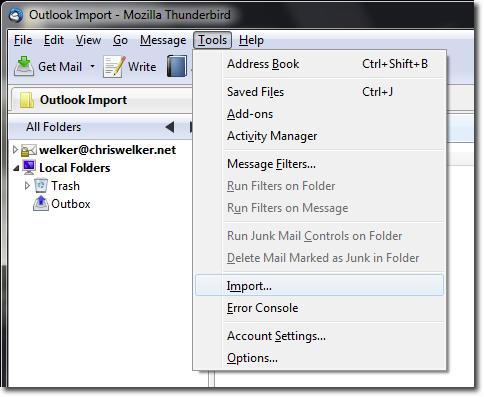 Today, we show how to move from Outlook to Apple’s Mail.app using Mozilla’s Thunderbird as a bridge to cross the gap. In this case we have only used Outlook for mail so we will choose the Mail option, If you also have other material that you would like to import, it may be faster to import each section separately. Once you have chosen your material, click Next. 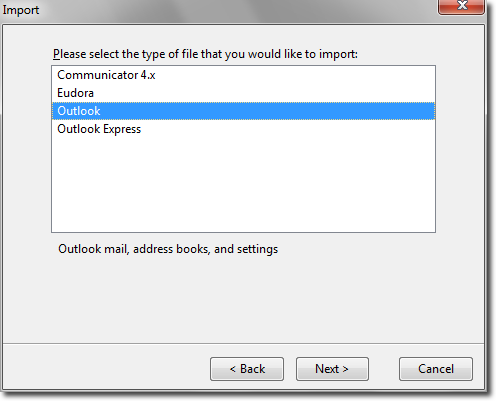 Select Outlook for the type of file you would like to import and click Next. 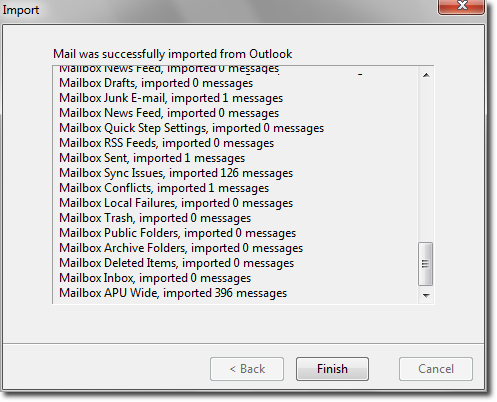 Once the import is done it will give a report of what was imported from Outlook. Click Finish when you are ready to move on. 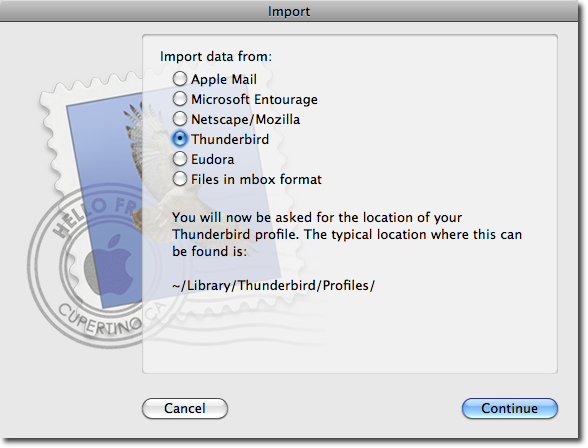 Now you will need to be at your Mac OS X machine. In a previous article we talked about mounting a Window share. Now the easiest way to move the data over the machines may be to mount the folder containing your data and copying Local Folders to you desktop. You will want to move the data in any means that is convenient for you. The imported Outlook data will be located on your Windows 7 and Vista machine in the following directory. 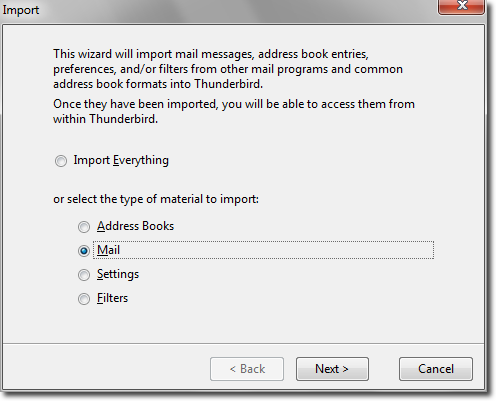 In the Import Window select Thunderbird and click Continue. Browse to and select Local Folders and click Choose. Now you can select what you want to Import. If you notice there are things you do not wish you import, uncheck them. 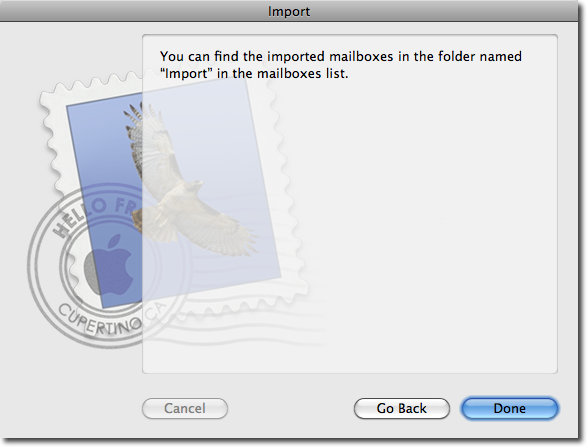 Once you are happy with what you are importing click Continue. The amount of data you are moving will dictate how long you it will take to import. Once the import is done. 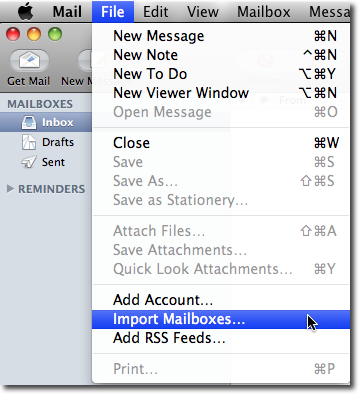 Mail.app will let you know where you mail is located. Click done and enjoy your email! 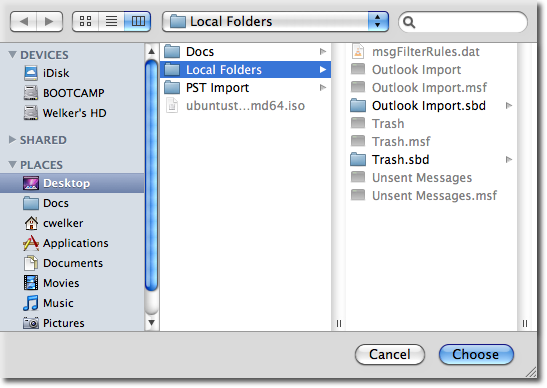 While there are some free applications out there that say they are able to import .pst and Outlook mail into OS X readable formats, many of them are for previous versions of Outlook for the Mac. 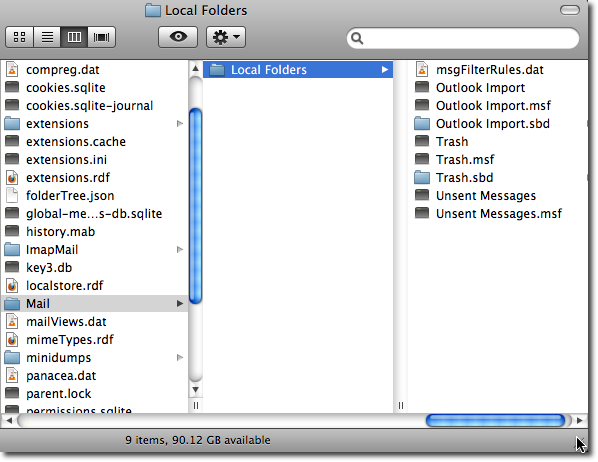 After trying some of the other free methods out there for moving mail from Windows to Mac, we found this to be one of the easiest solutions.